Thank You for Making Us the #1 Rocky Ridge Lifted Jeep Dealer in the USA! Our team at Sherry 4×4 wants to send our heartfelt thanks to all our customers who have helped make us the #1 Rocky Ridge lifted Jeep dealer in the United States. We pride ourselves on working hard to ensure that our customers can find the exact auto that they need, regardless of their requirements. Our status as the top Rocky Ridge lifted Jeep dealer confirms that we do an excellent job when it comes to achieving that goal, particularly with lifted Jeeps from Rocky Ridge. At Sherry 4×4, we gladly offer lifted Jeeps since we understand that our customers love the versatility of these vehicles. As lifted Jeeps become more popular, we work even harder to ensure we have what our customers need. We carefully chose to work with Rocky Ridge due to the quality of their conversions and their long history of reliable vehicles. We understand the importance of a quality lift kit you can count on and know that Rocky Ridge is able to deliver that to our customers. We aim to maintain our reputation as the #1 Rocky Ridge lifted Jeep dealership, which is why we always keep an excellent selection of lifted models on our lot, including new options. You can check out our inventory online or visit us to see the autos in person. For the 2018 model year, find conversions based on the Wrangler Unlimited, including the K2. For even more choices, check out some of our older model years. Those who want a lifted vehicle but are not sure a Jeep is right for them will also want to check out our selection of Rocky Ridge lifted trucks. 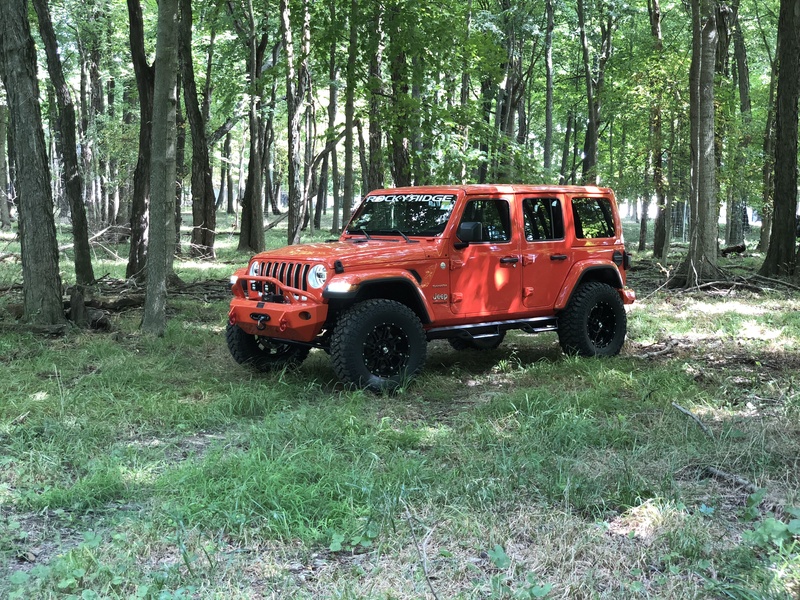 In addition to the varied lifted Jeep choices you will find on our lot, our status as a Rocky Ridge dealer also allows us to get you behind the wheel of a custom Jeep. Take a look at the vehicles in our inventory for inspiration, talk to our team to learn about all the options and features, then get your custom Jeep built, so you have a vehicle that perfectly fits your needs.